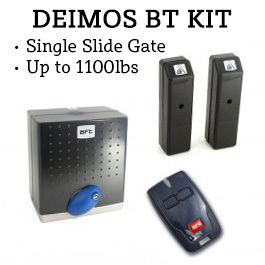 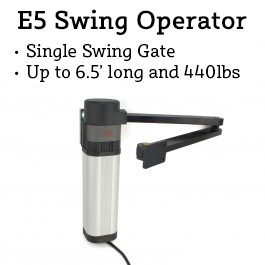 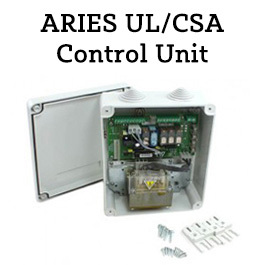 This kit includes a Deimos BT UL/CSA automatic slide gate opener from BFT that is capable of moving gates weighing up to 1,100 pounds and measuring 75 feet in length. 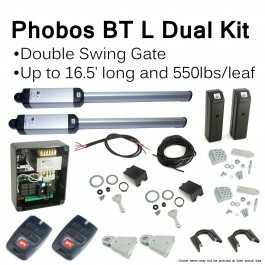 This kit includes one Mitto transmitter and a set of FL130B photocells. 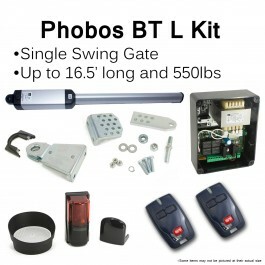 This kit includes a Deimos BT UL/CSA automatic slide gate opener from BFT that is capable of moving gates weighing up to 1,100 pounds and measuring 75 feet in length. 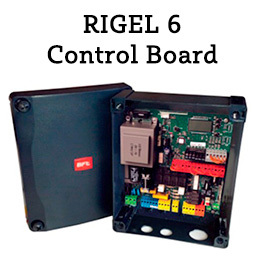 This kit includes one MITTO2 rolling code transmitter and one set of photocells..